Learn how to connect your NAS to a Windows Active Directory domain. Learn to connect to your NAS via WebDAV using a variety of different methods. An overview of link aggregation and how to set it up on your NAS. 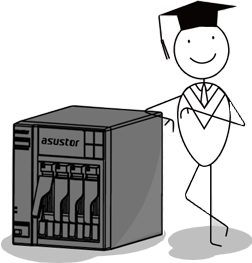 Learn about iSCSI and how to use it in conjunction with your NAS.